This beautiful mountain townhouse features all the comforts of home. The master bedroom features a king-sized bed and a sitting area. The master bath has a shower, luxury tub, double sinks, and marble floors. Two other bedrooms feature queen-sized beds and private baths. The terrace-level bedroom features a full-sized bunk bed with a trundle, perfect for sleeping two adults or four children. This bedroom also has a private bath and sitting area. All bedrooms have cable TV. The living area features a fireplace, dining area, cable TV, and DVD. The beautiful kitchen has granite countertops, top-of-the-line appliances, and an eating nook with a second fireplace. A new, private hot tub was installed in August, 2004. The unit is in the heart of downtown Winter Park, within walking distance of shopping and many restaurants. The FREE shuttle to the resort ski slopes of Winter Park is only steps away from the front door. We are a family of 4 living in the metro-Denver area. We think of our townhouse in Winter Park as a 2nd home, so we take care of it as such. We are the hosts, maid, and handyman. We treat our renters as if they are our personal guests. The property is spacious, clean, conveniently located and very well-anointed. The kitchen is equipped with just about anything a cook might need. 2 gas fireplaces. 1 in the family area, the other in the breakfast area. There is a breakfast table which seats 6 and a granite bar area with seating for 3. The separate dining area seats 8. Overall, this was a great place. Location was convenient to most everything, furnishings were nice and comfortable, kitchen appliances worked well as did the washer & dryer. If I had to complain about anything it would be that it needs an elevator. 3 floors at this elevation is grueling with suitcases, laundry, groceries, after skiing, etc. Definitely a work out. The owner, Carolee, was very accommodating and a pleasure to deal with. Even left her Christmas decorations up for us! Thank you. Great modern town home in the middle of town. The town home has plenty of room and is well equipped. Our daughter's home is too small to accommodate the whole family for a proper Thanksgiving celebration, so we booked Carolee's home. She was very helpful from the start and was always quick to respond to any questions that we had. The townhome is nicely decorated and well-equipped for baking and cooking. Some guests have mentioned the four levels of the home, requiring lots of trips up and down stairs...good exercise at altitude! This was actually an advantage, giving each family member some private space to get away from the buzz. The bunk room in the lower level is like a junior man cave, which the two teenage boys really enjoyed. The hot tub is an added benefit. The only suggestion I have for Carolee and Bob is to create a binder with instructions for the entertainment systems, special kitchen equipment, hot tub, and garbage disposal...FAQ's. Thank you for wonderful memories. Thank you, Paul. So glad y’all enjoyed your stay. Please come again. Besides being a lovely condo in a beautiful setting adjacent to the Fraser Trail/River, this Red Quill property is located walking distance from many of Winter Park's key features: Carver's for breakfast, the new Rollin' Bakery, Memorial Park for concerts, the movie theater and the Fraser Community Center, not to mention the trail system that runs behind the complex. The kitchen is fully equipped for the experienced cook and the house has plenty of room for young and old alike. And the owners couldn't be more responsive to any issues that might occur. A good choice for winter or summer stays. Best rental in Winter Park! First off, Carolee was incredible! She was very concerned with our stay and wanted to make sure we were comfortable and everything went well. I've stayed at 2 other rentals in the past using VRBO and neither compared to the hospitality shared by Carolee! 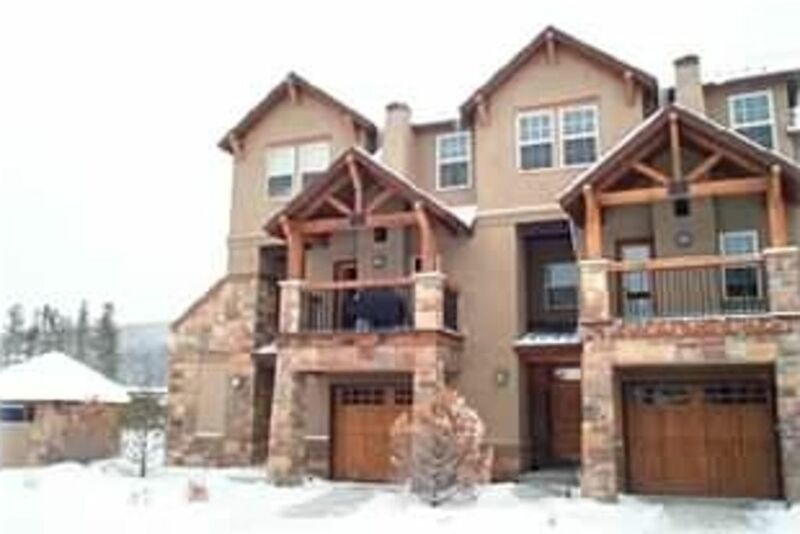 My family (wife and 3 children ages 2-6) as well as my in-laws had plenty of room at this townhome. The kitchen is well stocked, and VERY nice appliances! (I fell in love with the Viking Oven, just saying). The radiant heated floors? Are you kidding me? I'm from Oklahoma and we don't have heated floors. In Oklahoma when it's cold, tile is cold (not in this townhome!). The bathroom floors were warm, the rooms were very well decorated. Also, the townhome has 4 full bathrooms and a powder room, so technically 4 bed 4.5 bath (never had to wait despite having 7, and could have housed much more). Location was well seated within Winter Park, away from the hustle and bustle to be quiet, but also close enough to be near and around anything you may want. Close to the park (kids really enjoyed), close to Randi's Pub, close to Hernando's Pizza. 5 minute drive to Safeway in Frazier. Location was absolutely fantastic! The pictures do not do this townhome justice. It is so much nicer than what you see, and so worth it! By the way, after we got back, I priced some other townhomes in the area with a similar layout, and they are more expensive, yet from what I see, not as nice. Book it while you can. Thank you, Caleb, for your kind remarks. I am delighted you all enjoyed your stay and were comfortable there. I hope you will return soon! We have stayed at this condo several ski seasons and working with Carolee is wonderful. Its a beautiful condo that is well supplied. Located in town close walking distance to restaurants. Will be back next year. Thank you, Mike. I love having you guys. Come back soon. Located in the heart of downtown Winter Park, the townhouse is an easy walk to most restaurants and shops. It is steps from the shuttle stop which provides free transportation to the ski resort. The new community recreation and fitness center features excellent fitness equipment and an Olympic sized swimming pool. There is also a new theater/bowling alley, all within walking distance. Housekeeping fee for stays of less than 5 days. $150.00 flat + $10.00 per person. No fee for stays of 5 days or more.